Western Reserve Land Conservancy applauds Congress’s vote in favor of a federal tax incentive for those who preserve land with a conservation easement. In a strong bipartisan action, the House voted 318-109 and the Senate voted 65-33 to pass the bill that eliminated the expiration date on the incentive. When landowners donate a conservation easement to permanently protect their land from future development, they give up part of the value of their property. The conservation easement tax incentive offsets some of that loss in property value, making conservation a viable opportunity for more landowners. 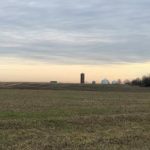 “Land conservation is critical to the vitality and health of the communities we serve, and the federal tax incentive is an important tool for all of us who preserve Ohio’s vibrant natural areas and working farms. Making this incentive permanent better enables landowners to protect our region’s essential natural assets now and for future generations,” said Rich Cochran, president and CEO of the Land Conservancy. A conservation easement is a voluntary legal agreement in which a private landowner can permanently retire the development rights to his or her property, thereby preserving natural resources and keeping farm, forest and ranch lands in productive use. The property remains in private ownership, and future owners are bound by the easement’s terms, ensuring the property remains as it was when protected. The new enhanced conservation easement tax incentive enables landowners to deduct a larger portion of their income over a longer period of time; under previous law, they received little benefit for donating what may be their family’s biggest asset. The enhanced incentive raises the deduction a donor can take for donating a voluntary conservation agreement from 30 percent of his or her income in any year to 50 percent; allows farmers and ranchers to deduct up to 100 percent of their income; and increases the number of years over which a donor can carry forward remainder amounts of the tax deductions for up to 16 years. The changes apply to donations made in 2015 and to all donations made after that. 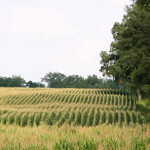 The incentive was first passed in 2006 and the pace of land conservation increased by about 33 percent, exceeding one million acres per year. It expired in 2011, and Congress has had to enact short-term extensions ever since then. When the provision expired at the end of 2014, the result was a 50 percent drop in conservation easement donations across much of the country, according to the Land Trust Alliance, a national conservation organization representing over 1,100 land trusts. Once signed into law, the incentive will be applied retroactively to start Jan. 1, 2015. 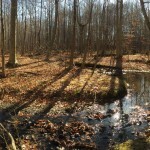 Individuals interested in learning more about conservation easements and the enhanced tax incentive should contact Western Reserve Land Conservancy at 440-528-4150.